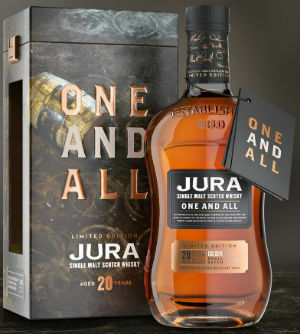 Jura have released a limited edition 20 year old whisky, which has been chosen by the distillery workers to celebrate the community spirit on the island, and has therefore been aptly named ‘One And All’. 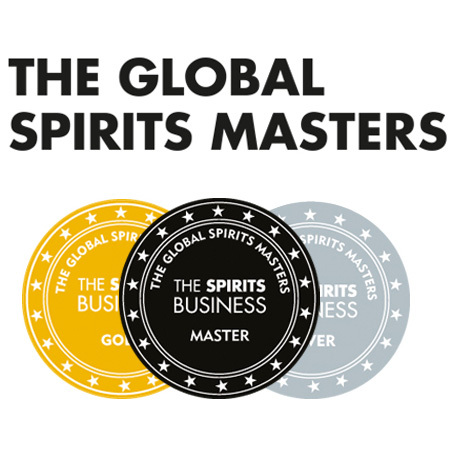 It’s not your typical Jura whisky, or even single malt whisky for that matter, having been matured in ex-bourbon barrels, ex-sherry casks, sparkling Cabernet Franc casks, Cabernet Sauvignon casks and Pinot Noir barriques. Genuine. Nose: Sweet, earthy and very enticing. Fig rolls, dark cherries, blackcurrant cordial, prunes, faint liquorice, cinnamon, baked apples and a whiff of wet logs. 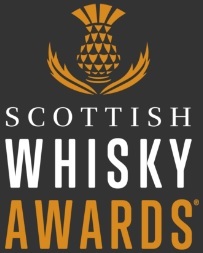 Palate: Sticky and sweet – cherries and blackcurrants are back along with dates, well done malt loaf, clove, gingerbread, glazed walnuts, black tea and dark chocolate. There a hint of sulphur too – not too much, just a bit of dry, cracked rubber and leather. Finish: Dry wood, slightly tannic and grippy, with a red currant sweetness. The woodspice lingers along with some charred logs. Overall: Layered and complex without being disjointed, which is quite a feat considering the myriad of casks involved in this whisky’s maturation. One of the better Jura’s I’ve tried, along with this year’s Tastival expression. It seems as though the new gaffer is up to good things. This entry was posted	on Wednesday, December 13th, 2017 at 12:04 pm	and is filed under Reviews. You can follow any responses to this entry through the RSS 2.0 feed. Responses are currently closed, but you can trackback from your own site.